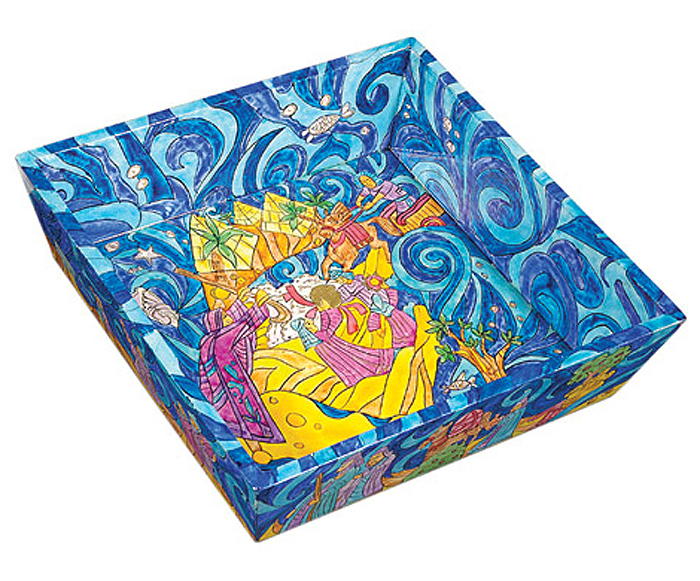 This square matzah plate has a handpainted water design base with a depiction of the Exodus in the inner center square, which matches the Seder plate. The outside 4 sides also continue the story of the Exodus of the waters of the Red Sea. Laminated for safe use. Hand-wash after use.